Welcome to the latest installment of Beyond the TV Grave, where we at the TV Ratings Guide focus on shows that were canceled after airing no less than 5 episodes and no more than 50. In today’s installment, science fiction comedy-drama Limitless grabs the headline as we go through the premise and what led to its untimely cancelation, and we will give a final verdict on whether or not we want to see more. 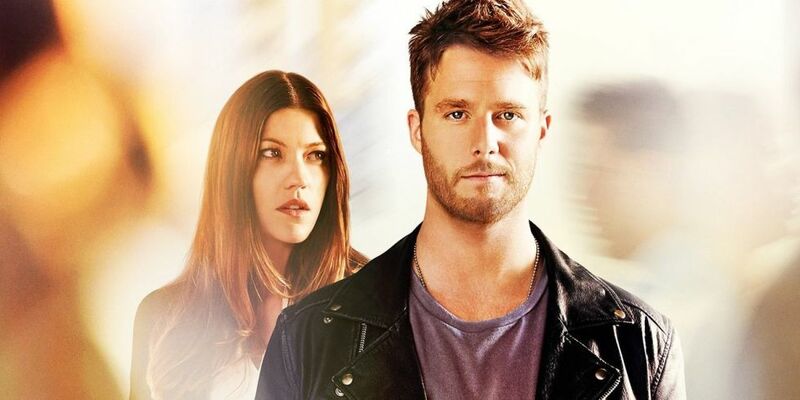 Based on the film by the same title, Brian Finch (Jake McDorman) is introduced to the miracle drug NZT-48, which gives him access to every neuron in his brain. 12 hours later, Brian becomes the smartest person in the world and is able to perfectly recall every detail of his life. With the mysterious US Senator Eddie Morra (Bradley Cooper) providing him with an immunity shot to counteract NZT's deadly side effects, Brian uses his newly enhanced abilities to aid FBI agent Rebecca Harris (Jennifer Carpenter) through cases. The FBI doesn't know about the shot and Brian has to separate from his NZT-48 life and public life. The series also starred Hill Harper and Mary Elizabeth Mastrantonio. Even though it was one of CBS’s most promising shows outside of Supergirl, Limitless ultimately was a victim of questionable scheduling. It was placed in the Monday 10pm time slot, a time slot that is historically troubling for newbies not named Hawaii Five-0. It premiered to a 1.9 in the key adults 18-49 demographic, which was a promising start for a CBS newbie. But ratings dropped yet managed to stay fairly consistent around the 1.4-1.5 level through most of the fall. This performance was enough for CBS to give it a full season of 22 episodes. Only a couple of episodes hit 1.3 at the end of the fall. It came back in the winter to a 1.4, then sunk to a low of a 1.1 A18-49 rating, and mostly stayed there. CBS canceled the series after one season, ultimately causing fan outcry. But CBS could have made a smarter decision scheduling wise to move it by NCIS instead of having it at 10pm on Monday where it was showing decline. Honestly, I would have loved to see more of Limitless. CBS made a questionable decision to schedule and leave the show in an undesirable time slot. That and to make things worse, CBS shopped drama Supergirl to the CW, cementing the network’s reputation as the Old People Network. If Limitless was so off-brand, then why did CBS order it and Supergirl? You can catch Limitless’s only season on Netflix worldwide.